The plan calls for millions of dollars in improvements to the city’s bike infrastructure. 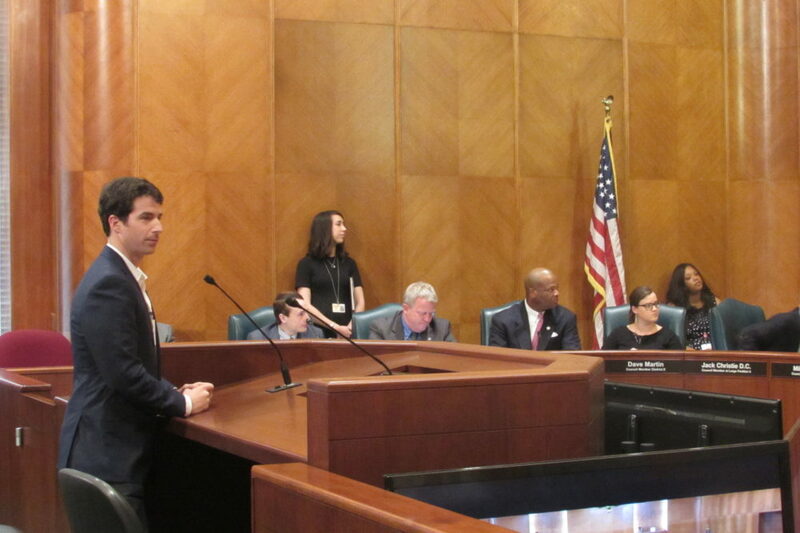 Houston B-Cycle Executive Director Carter Stern addresses the City Council Transportation Committee on the Houston Bike Plan. The plan calls for hundreds of miles of new bike routes and it also features guidelines for future infrastructure projects. Houston Planning Director Patrick Walsh says they’re focused on about $50 million worth of bike projects over the next decade. But members of the City Council Transportation Committee question whether they should use money from ReBuild Houston, the voter-approved initiative for street and drainage work. Walsh says they’re seeking funds from different sources but he thinks ReBuild money would be appropriate. Discussion of the Bike Plan comes a little over a week after two cyclists died in separate accidents involving light rail trains. Cyclist Rose Nolen told the committee there’s a sense of urgency in getting the plan approved. 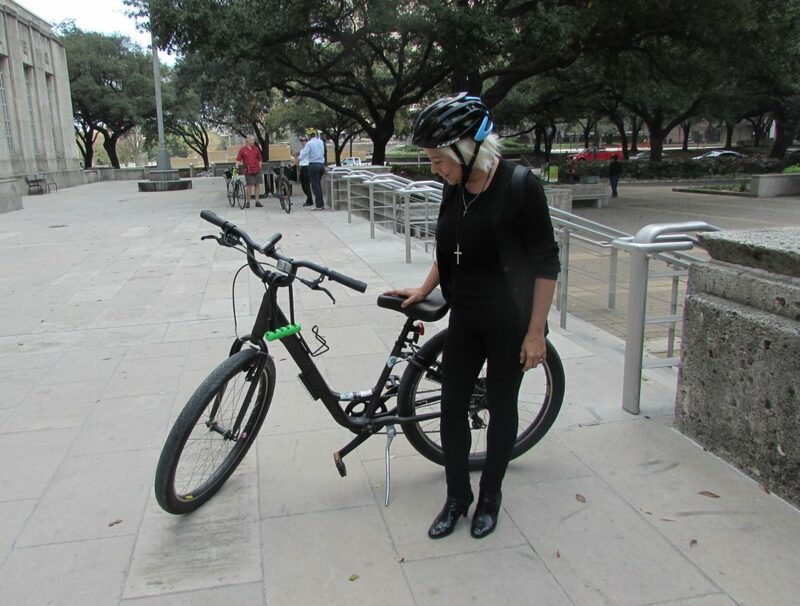 It’s expected City Council will act on the Bike Plan later this month.